Ready to Enjoy! 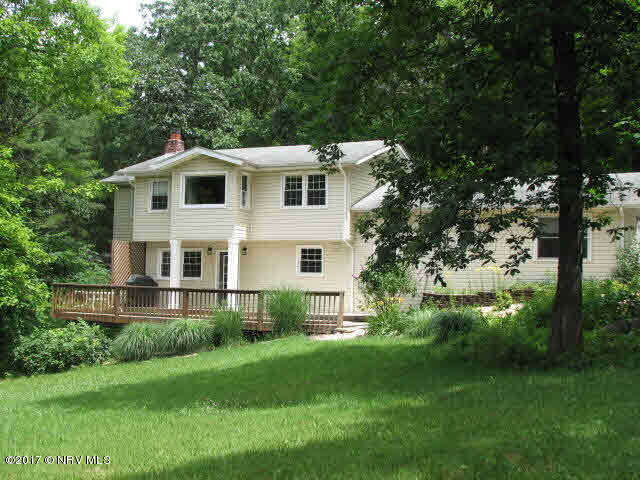 Bring your boat and water toys, this home is super easy access to I-81. Seasonal or Primary residence, make the most of remodeled Kitchen & Baths! Open plan - kitchen, family room with fireplace & dining. Shared ownership of waterfront lot with dock. Deep water, quiet cove opens to main body of the lake. Great swimming! Lots of room for entertaining family & friends on 10x36 deck. Large living room could be used for main level master retreat. Lots of possibilities here. Less than 5 minutes to I-81, making drive time to any NRValley destination, simple and quick! Adjoining property owners share cost for maintenance/use of road, waterfront lot & well.